Download or read online Computer Networking Urdu Book in PDF format, with the help of Computer Networking Urdu Book, you can easily understand the basics of Computer Networking Urdu language, this book will provide you detailed information about all major components of computer networking system. In this book you will learn about primary functions of major computer networking components and devices, like Modems, Routers, Repeaters, Switches, Hubs, Cables, Connectors, etc. after reading this Computer Networking Urdu Guide, you will be able to perform networking hardware and software installations, and easily can be decide about necessary up gradation of small computer networks. 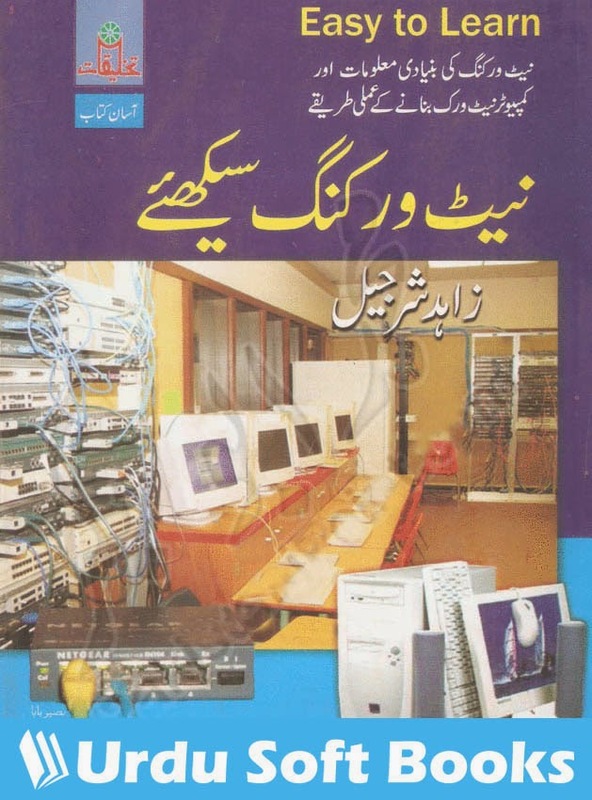 Computer Networking Urdu Book contains lot of things to read and perform practical. Now days computer networking and troubleshooting work is much profitable in Pakistan, If you will pay attention and learn this seriously then you can earn batter profit after joining this work as profession, many people want to learn about computer netwoking work for different purposes, some of them want to learn for their small personal computer networks and others are want to join as profession, Computer Networking Urdu Book is designed for both type of people. Its a best computer networking Urdu guide. We are going to build largest Urdu Books library, where you can read online and download Urdu Computer Books, you can also share these Urdu Computer Books with your friends through social media sharing buttons which are available on each page. This time you are watching Computer Networking Urdu Book. You can read online or download Computer Networking Urdu Book in PDF format using below links. Your feedback and comments will help us to improve our Urdu computer books collection.